Here's something green for St. Patrick's Day. 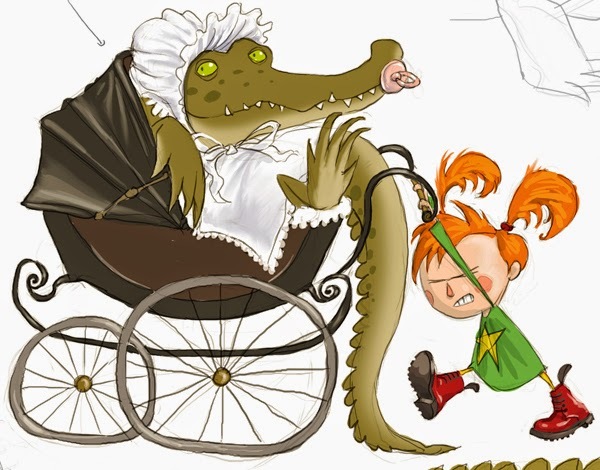 A sneaky peek at my new book The Crocodolly - or at least, a couple of development drawings I did for it. One shows a wee Ozzy the croc in a test of his 'dolly' outfit. And one showing a more grown up version, being pushed along by our little girl heroine, Adelaide. 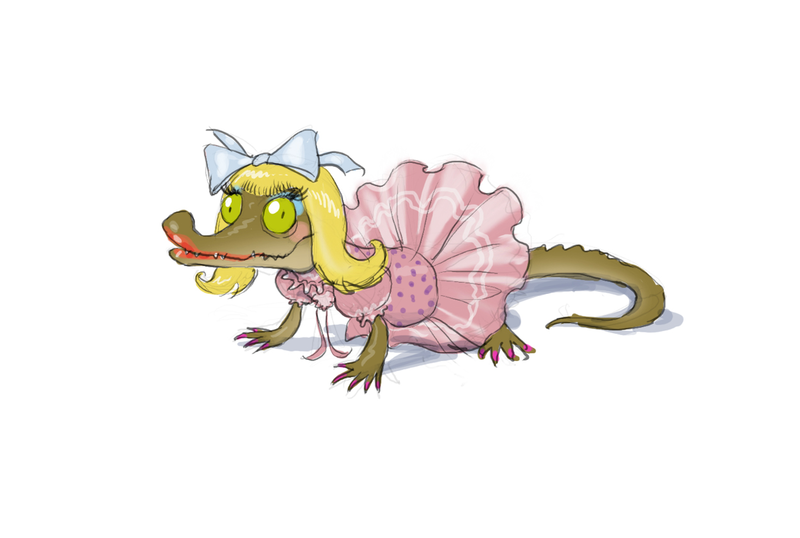 The Crocodolly is published by Scholastic in September. My son and I are looking forward to reading Crocodolly. 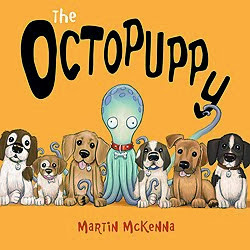 We just read Octopuppy and loved it. Thank you Angela! 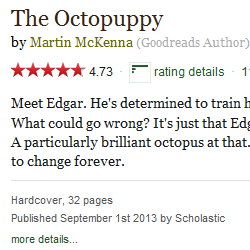 I'm delighted you've enjoyed The Octopuppy, and I hope you'll both enjoy The Crocodolly, too.